Venezuela Oil Supply: Venezuela has sent its oil minister, Manuel Quevedo, to India. "We are selling more than 300,000" barrels per day to Indian buyers, Mr Quevedo said in New Delhi. "We want to double that amount." 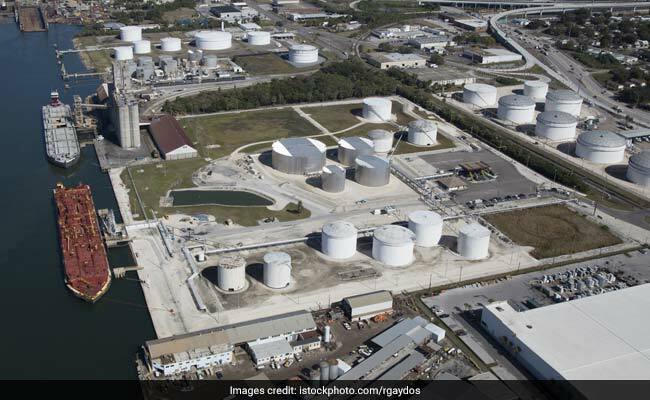 Venezuela's oil exports have tapered off and shifted toward India since new US sanctions began on January 28 as state-run oil company PDVSA seeks to replace deliveries to the United States and Europe that were disrupted by payment restrictions. The South American nation is turning its focus to cash-paying buyers, especially in India, its second-largest customer after the United States, amid US sanctions designed to undercut financial support for Venezuelan President Nicolas Maduro. US Sanctions are designed to bar Nicolas Maduro's access to oil revenue that has helped his government remain in power. In the two weeks since the sanctions were announced, PDVSA has been able to load and export 1.15 million barrels per day (bpd) of crude and refined products, according to Refinitiv Eikon data. Venezuela was exporting about 1.4 million barrels per day in the months before sanctions, according to the Eikon data. Barclays bank addressed the issue in a special report on Venezuela, issued on Tuesday. Before the sanctions, PDVSA shipped over 500,000 barrels per day to the United States, its largest cash market, followed by India then China, at above and below 300,000 barrels per day respectively. "We are selling more than 300,000" barrels per day to Indian buyers, Mr Quevedo said on Monday in New Delhi. "We want to double that amount." According to a trading source close both to Rosneft and PDVSA crude operations, the last cargo containing fuel oil for the Russian company left Venezuela for Asia on January 30-31, containing around 1 million barrels.